Every community offers a wide array of senior living activities for their residents. And, for good reason. They know the extreme importance physical and mental activity, as well as socialization, have on residents’ health. As people age, support from family and friends decreases, which oftentimes increases stress, depression and anxiety. But, by forming a community—or a family, of sorts—within long-term care facilities, residents show improved quality of life and are more able to combat the effects of social isolation. As many of us recognize National Nursing Home Week, starting on Mother’s Day in May, we rally around 2017’s theme “The Spirit of America®,” which celebrates the bond among staff, volunteers and residents as well as the uniqueness each resident brings to the senior living community. Medical caregivers often refer to the six dimensions of health—emotional, intellectual, physical, social, spiritual and vocational—that interconnect and provide a picture of a person’s overall health. Intellectual: Games, reading and journaling stimulate the brain and help offset the symptoms of dementia and other memory issues. Physical: Movement releases endorphins, the hormones that improve mood and provide natural pain relief. Social: Forming new friendships and other social connections give life meaning. Spiritual: Activities that promote and strengthen individual beliefs provide hope and enhance empathy. Vocational: Those who practiced life-long hobbies or professions may find ways to continue in these vocations in some way, giving them a sense of purpose. Host a meal that includes dishes from cultures or areas of the world your residents identify with. You may also want to incorporate music and dance from those cultures to add to the celebration. Help residents preserve their life stories by helping them write a journal of memories or create scrapbooks. In this way, residents are essentially developing their legacies, which can give them meaning and be a source of gratification. Find ways residents can continue to engage in hobbies, whether they care for a garden plant or two, do simple woodworking or sewing, take part in a cooking demonstration, or move beyond arts and crafts to watercolor painting. Consider ways younger generations can get involved beyond typical music or theater performances. Can they teach seniors to use modern technology? Can youth take part in or maybe even teach a new hobby? Intergenerational activities not only create lasting bonds but boost empathy in both generations. To honor your veterans, consider dedicating a wall in your community to the memory of their service. Post their veteran photos and talk about the history of their service. Interviewing veterans about their service would be a great intergenerational activity for school and scouting groups. It’s important to foster relationships with seniors outside your community, as well. Consider operating an adult day care within your long-term care facility and incorporate senior living activities into their day. Or, open your doors to the community in the evening or on a weekend to showcase the fruits of these activities, such as the scrapbooks of life stories or the veterans’ wall. Every touchpoint you make in the community keeps you top of mind when seniors and their loved ones are considering options for long-term care. 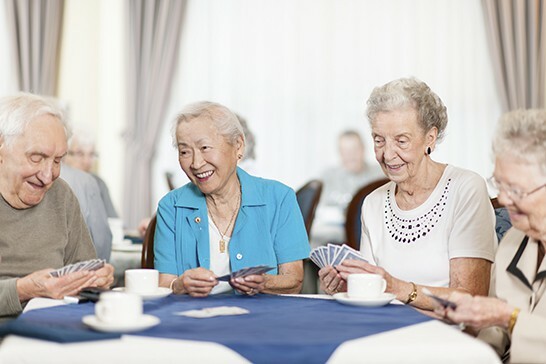 As you celebrate National Nursing Home Week, we hope we’ve given you new ideas for senior living activities to celebrate the individual within each resident. And, if you are considering updating or remodeling your existing facility or building a new senior living community, contact us or call (920) 969-9344. See how we create designs that not only provide a welcoming atmosphere for residents but also for community members who may want to engage with you in these activities until the day comes that they join you as a member of your senior living community.